LOOKING FOR AN AFFORDABLE LUXURY VEHICLE??? 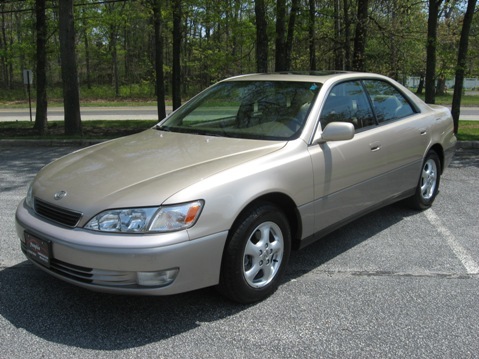 Then check out this 1998 Lexus ES300, 4-Door Sedan. This baby is in EXCELLENT CONDITION with ONLY 74,514 miles. A CLEAN & PERFECT CARFAX HISTORY and TONS OF NICE OPTIONS! Equipped with a V6, 3.0 liter engine, Automatic transmission and RWD. FULLY SERVICED and PUMPKIN CERTIFIED, our vehicles are guaranteed to be the best around! Backed by our limited POWERTRAIN WARRANTY, this vehicle can be yours for ONLY $9,995! Options include Power/HEATED SEATS, Power Moon Roof, Full Power Options, Alloy Wheels and more! 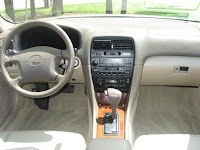 A classic Champagne exterior on Tan Leather Interior with Wood trimming. Stop by our INDOOR SHOWROOM and take this Lexus for a test drive today! CONTACT US at (609) 646-7676 or send us an email at [email protected]. For a complete listing of our pre-owned vehicles, log onto our website at http://www.pumpkincars.com/. NEED FINANCING?!?! Simply visit the Financing tab on our website for an online application! Located on Fire Road in Egg Harbor Twp, we are open Monday thru Saturday. Stop on by soon...we look forward to meeting you!